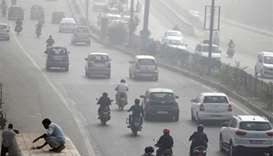 Illegal crop burning in farm states surrounding New Delhi, vehicle exhaust in a city with limited public transport and swirling construction dust have caused the crisis, as they do year after year. Bukhnuq is a veil worn by girls before marriage and after marriage women wear Batoula. These two attires have been an integral part of female costumes in the GCC countries.